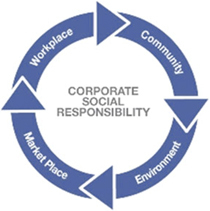 We see social responsibility as one of our civic responsibility and a great opportunity to positively impact on the society for sustainable development as a responsible corporate organization; within our capability. In the last 7 years, we have developed comprehensive, latest and relevant ICT industry technology-focused courses with the primary focus of sharing our knowledge, experience and expertise with our people, and we have trained over 3,000 individuals “tuition FREE”. The courses are specially designed to empower fresh graduates and other beginners to become relevant and responsible professionals in the society, transforming them into expert professionals in IT/ Telecoms engineering.